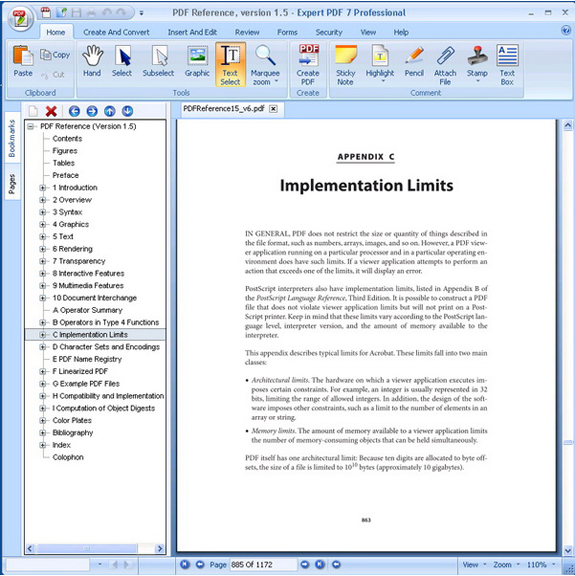 Expert PDF 9 is a complete PDF utility that lets you create, modify, and edit PDF files for a fraction of the price of Adobe's Acrobat Professional. With Expert PDF 9, you'll be able to save and send your work in a secure format, convert directly from Microsoft Office apps, and even merge multiple documents from multiple source file formats into a single PDF! Unlike most PDF creation software, Expert PDF 9 allows you to create and edit fully customized PDF forms that can be filled out by anyone with a PDF reader. It also allows you to turn existing PDF documents into forms complete with text zones, radio buttons, check boxes, drop-down lists, action buttons, and more! Other features allow you to easily convert documents into graphics formats such as JPG, GIF, and TIFF, retain hyperlinks after PDF conversion, and conveniently access Expert PDF 9 directly from your Word or Excel toolbars! All this, plus Expert PDF 9 lets you add all of the bells and whistles to your PDF documents - stuff like geometric shapes, watermarks, images, hyperlinks, and encrypted password protection! Convert any type of document, including Microsoft Office files, to a secure PDF file. Protect your work from editing and alteration by others. 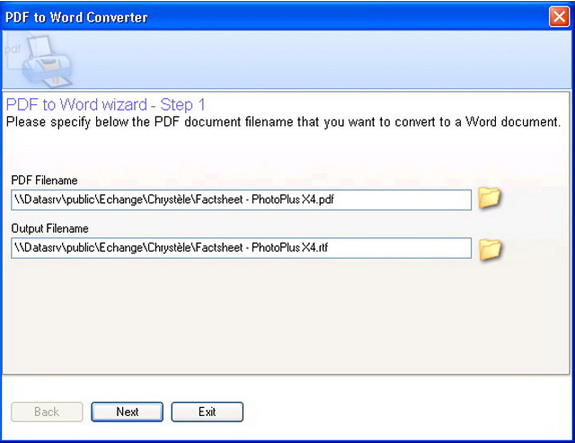 Convert PDF documents to Word format. Batch convert multiple Microsoft Office files to a single PDF. Protect your PDF files with encrypted passwords. After you purchase Expert PDF 9 it may be used indefinitely. Expert PDF 9 is licensed per computer, and not per user. Is this a copy buth with another license? Pedro Laurent Lupke Brother you right... When Avanquest release PDF Pro 10 I thought it was going to be a replacement for Expert PDF 7. It has the same funcionality and if you have Expert PDF 7 already install and then try to install PDF Pro 10 the installation detect and ask you to unistall Expert PDF 7. OK, thank you for testing. With the difference that Pdf pro 10 has a lifetime free update license and Expert pdf 7 has free updates till the next major version. Gren Bingham Very, very confusing offer. They offer Expert PDF 7, but take me to Lightning PDF 7 when I hit the website button, which is probably the same product under a different name. BitsduJour, you should pull this offer until they make it clear what they are doing. Because, when I hit buy, I get an offer for eXpert PDF 7 but at a price of £24, which is over $33. The offer is for $25, and no mention is made of regional variations. I want it at $25!!! IN SEVERAL YEARS USING THEIR PRODUCTS (eXpert PDF 5, PowerDesk Pro) I HAVE FOUND A LOT OF SMOKE AND MIRRORS and mediocre support. We know it's not ideal and apologize for the confusion, but at the end of the day we think it's better than the alternative -- restricting all promotions to USD currency. Ralph Bressler Gren, are you still having problems? All of the links and prices work fine for me here in New York, USA. What I am MORE confused about is the issue brought up by Lupke Brother. What is the relationship between Expert PDF7 and PDF Pro 10? I have seen several other "strange" deals here at BDJ. Deals where two products with different names are licensed version of the same product with minor or no differences. When companies do this and are allowed to do this it is hard to know who is actually producing the software. To me, who programs the software and who distributes it are BOTH important pieces of information when I make a decision to buy. I don't know whether this is being done or purpose or not but, either way, it makes me wary of making any purchases from BDJ especially from Avanquest. To be fair, they recently made good on a misunderstanding on MY part but I am still wary. It would be nice to see an icon on the RIGHT side. A response from the company representative would be appreciated. Danny Now it is Expert PDF 8!